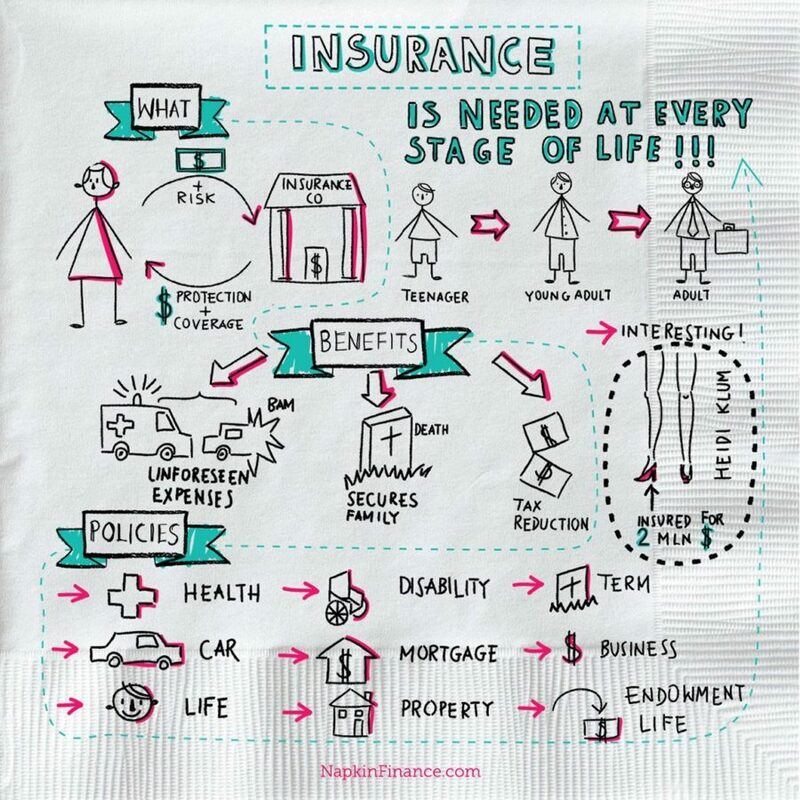 What is Insurance? 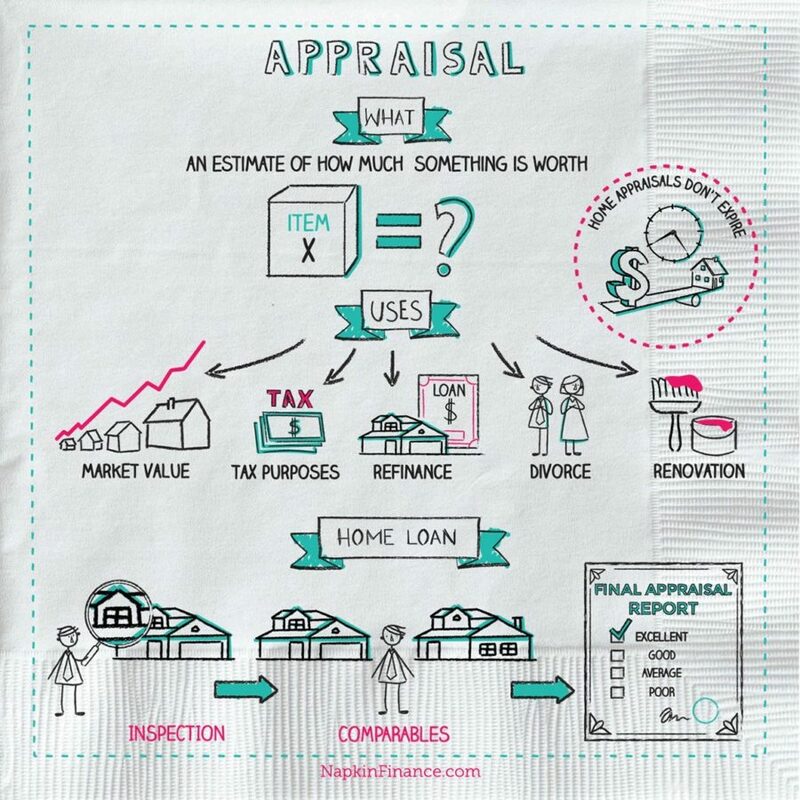 Napkin Finance Answers All Your Questions! Insurance is the transfer of the risk of a loss from one entity to another in exchange for payment. Regardless of your age or health risk, you need to have insurance. Insurance companies offer a financial safety cover in exchange for a payment of an insurance premium to their company over a stipulated period. Depending on the type of insurance, the insurance company covers your unforeseen expenses, such as hospitalization and car accident repairs, and offers you compensation when an unfortunate incident occurs, such as death or loss of property due to a fire. Some insurance policies are established to purely cover risk. For instance, healthcare insurance covers your risk of future illnesses and possible hospitalization, while car insurance covers your expenses in the event of a car accident. Whole life and term insurance policies provide your family lump sum compensation in the event of your death. An associated benefit of life and medical insurance policies is that the premiums are deductible from your overall taxable income, thus reducing the amount you need to pay in taxes. Health insurance is necessary to cover your medical and hospitalization expenses. The average cost of a three-day stay in a hospital is $30,000. 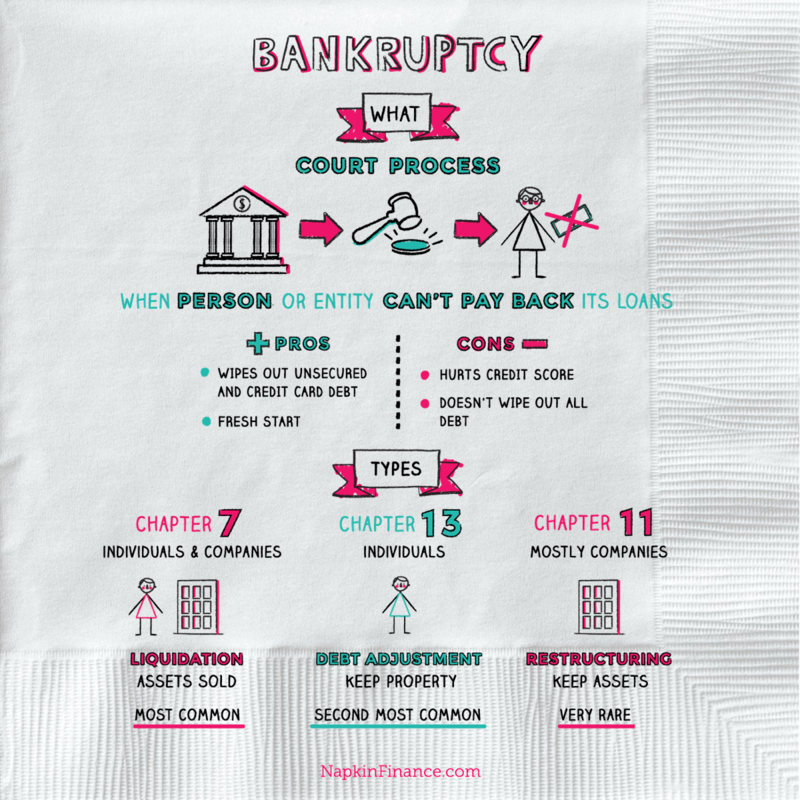 Incidentally, medical bills are the single largest cause of personal bankruptcy in America. Use this calculator from WebMD to determine how much you will need to pay for a health care plan under the Affordable Care Act. You need to have car insurance before you can legally drive your vehicle. Car insurance covers damages to your car and other cars that may have been damaged in the accident, provided the accident was your fault. This provides insurance coverage for the entire life of the policyholder. The premium paid toward whole life insurance goes toward an insurance component as well as an investment component. Upon the death of the policyholder, the value of the insurance is paid to the beneficiaries nominated in the policy. For example, if you have a $500,000 whole life insurance policy that you paid into since you signed up for the policy, then the person you named as the beneficiary (often your spouse, your children, or both) in the policy will receive $500,000 when you die. Disability insurance helps you replace lost income if you are physically disabled temporarily or permanently. If you want a mortgage, you will have to take out mortgage insurance to safeguard against the risk of your inability to repay the loan. You need property insurance to safeguard yourself from risk of loss of or damage to your property due to theft, fire, or natural calamities. Term insurance purely covers the risk of death for the specified duration of the policy. Unlike a whole life insurance policy, there is no investment component in term insurance. When you are young (20s and 30s), the premium you pay for term insurance is substantially cheaper than when you are older (above 40). This is taken out by businesses to reduce risks and includes business owner insurance, property insurance, errors and omission insurance, automobile insurance, and liability insurance. This type of insurance is often used as a college savings plan. The policy is designed to pay a lump sum after a specified term or upon death. Typical maturities are 10, 15, or 20 years up to a certain age limit. Some policies also pay out in the case of critical illness. A car insurance premium is lower if there is a GPS in the car. Married drivers have fewer accidents and receive a discount on their premium. Your credit scores can affect the premium you have to pay for getting insurance coverage. Some celebrities have their body parts insured. Heidi Klum had her legs insured for $2 million; Bruce Springsteen insured his vocal cords for a whopping $6 million; Julia Roberts reportedly insured her smile for $30 million.